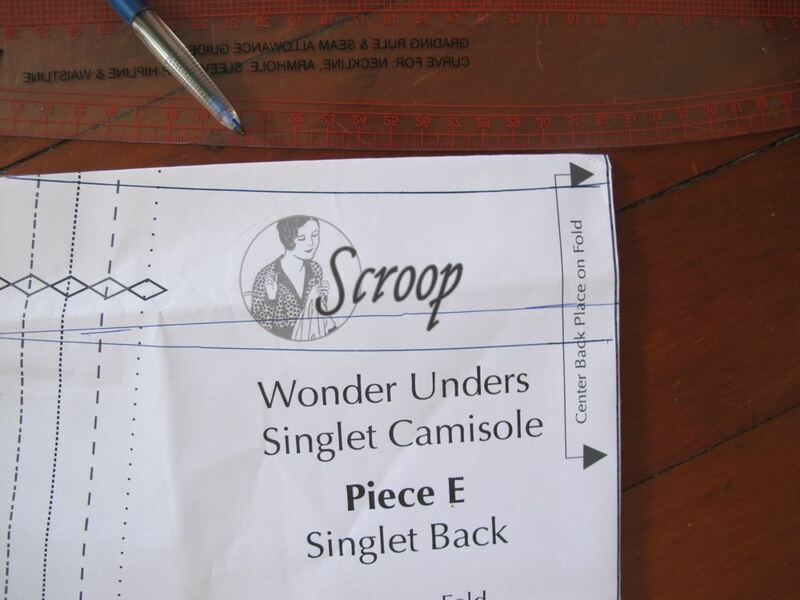 The Scroop Wonder Unders Knickers, Singlet Camisole & Slip pattern doesn’t come with a skirt slip piece, but it’s super easy to make a skirt slip from the pattern. 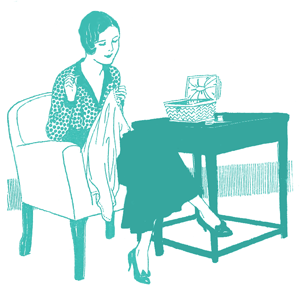 Here’s the quick under-1-hour way to make a skirt slip from the pattern. Next week I’ll show you the fancy 2-hour lace edged, side slit version. 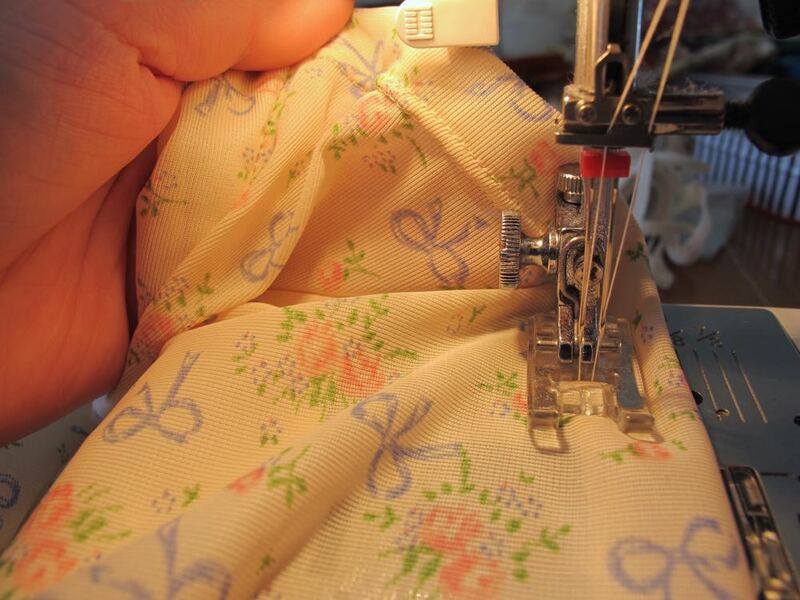 You’ll want to use the same type of fabric you use for the Scroop Singlet Camisole or Dress Slip. If you want to wear your skirt slip as an under-layer, you’ll need to pick a slippery, non-static stretch fabric, such as a lingerie tricot knit, or a stretch satin. 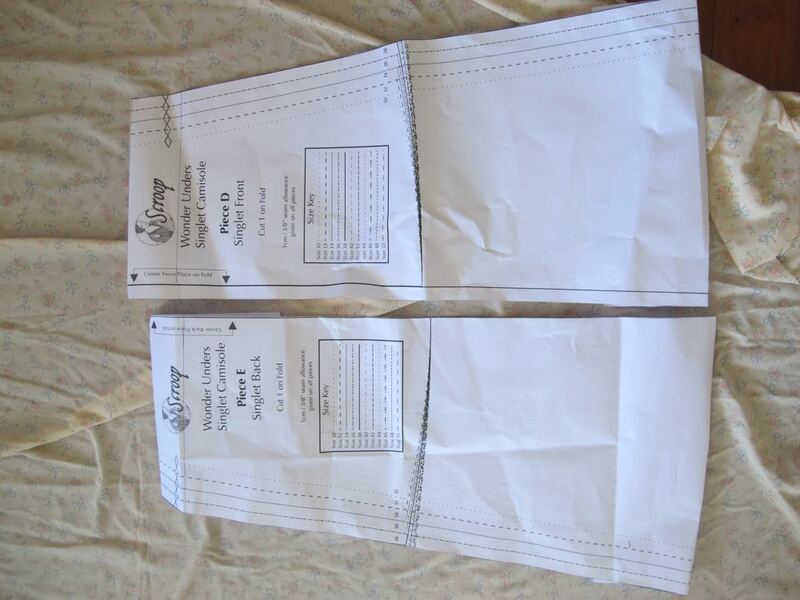 If you’re using a fabric with the same stretch as called for in the rest of the Scroop Wonder Unders pattern (30%-50% stretch in one directions (two-way stretch), or 25%-45% stretch in both directions (four-way stretch)) you can use the pattern in exactly the same size as you’d use it for the dress slip. 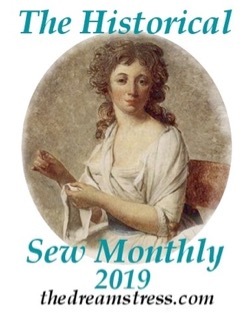 If you’re using a low-stretch (under 25%) knit, such as a tricot, you’ll need to go up a size or two (depending on how slim fitting you want your pattern to be over the hips) in the pattern, or you’re going to end up with a VERY snug slip. I’m making this one for a friend who is smaller than me, so I’m sticking with a size 38. 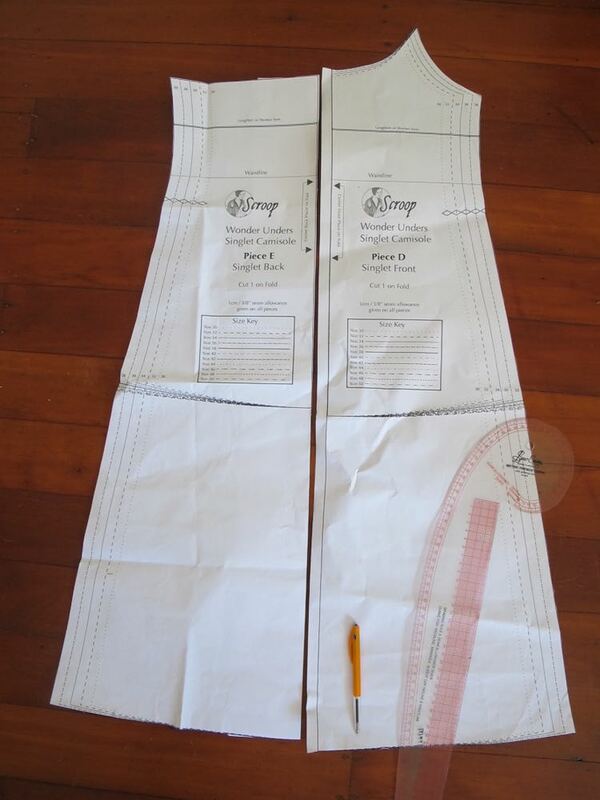 Use the waistline marked on the pattern piece if you want your pattern to sit at the natural waist, or measure down 2″/5cm, if you want a pattern that sits a little lower on the hips. 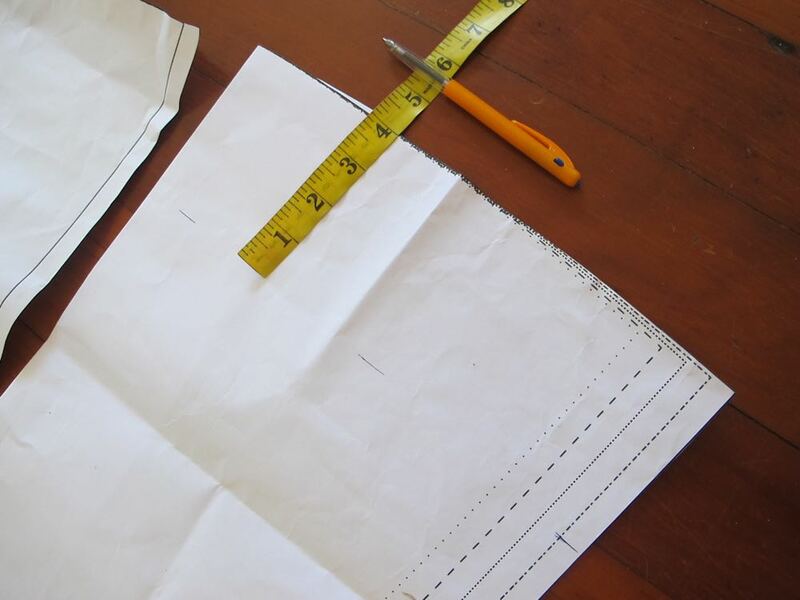 Measure down from your chosen waistline 1.5cm/5/8″ in the centre of each pattern piece, and draw a curved line out to meet the waistline at the the outside edge of the pattern. Shorten the skirt slip as needed. 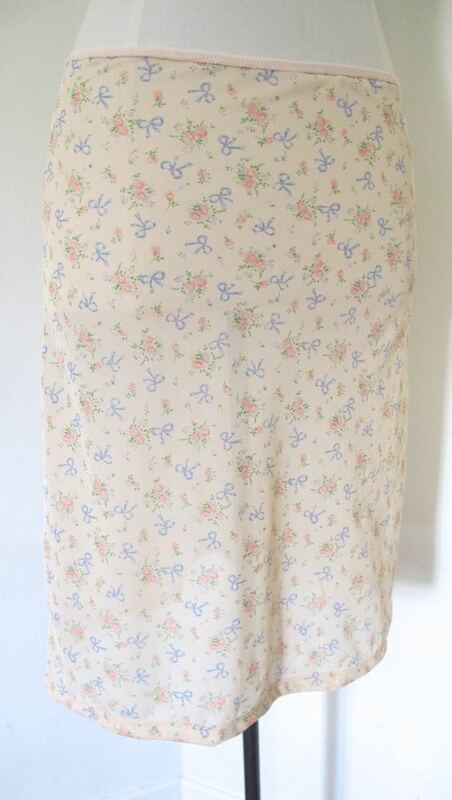 It measures just over 27″ from waist to hem, and that’s a lot longer than the dress my friend wants to wear it under. 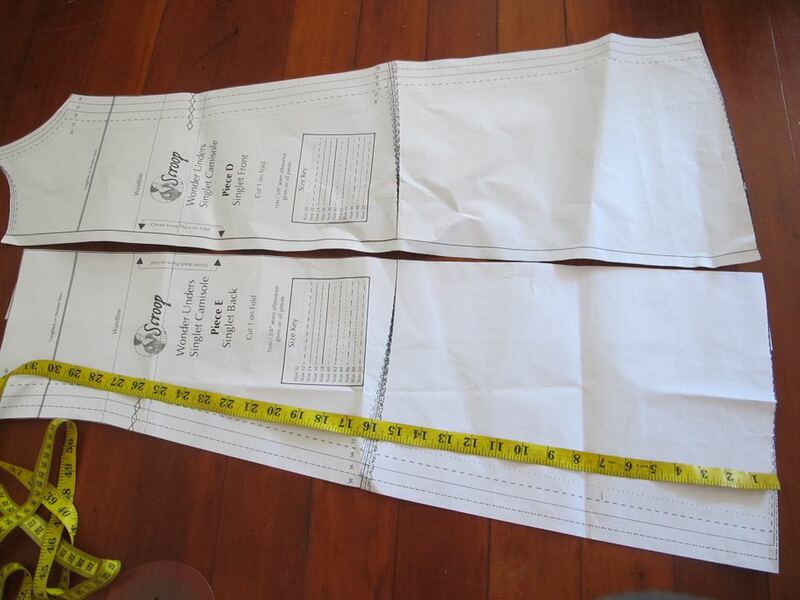 So I’m measuring up 4″/10cm from the marked hem, and drawing a new hemline. 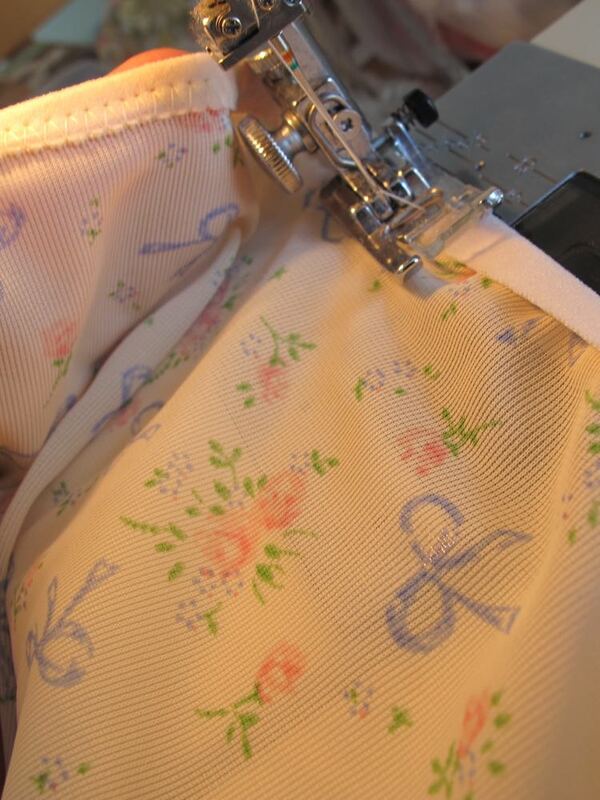 Sew up both side seams. 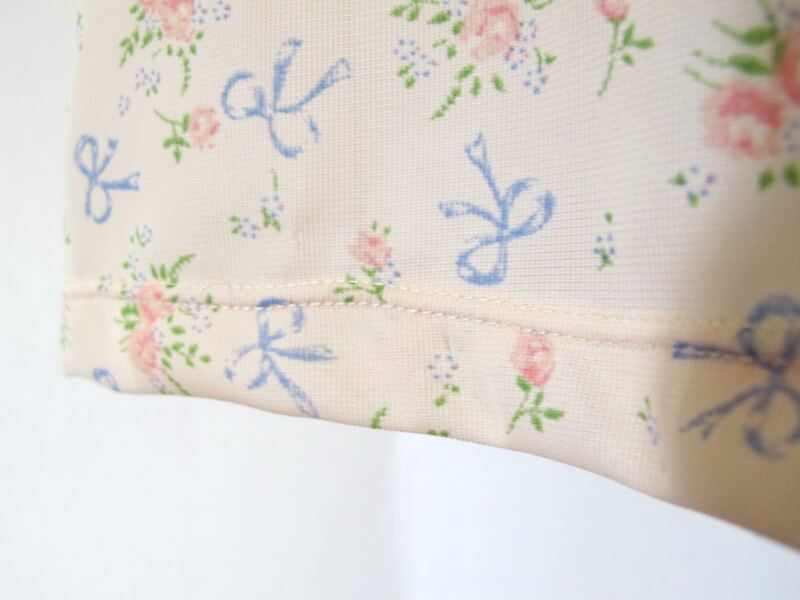 Use the waist elastic measure given for the Knickers, or wrap a piece of elastic around your waist so it is comfortably snug to gage the measurement. 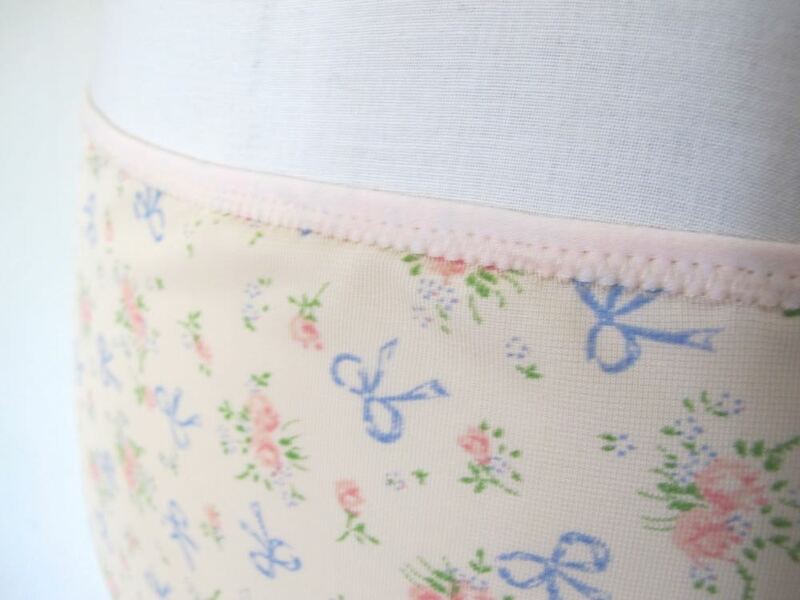 Sew as per the waist elastic instructions for the Knickers. Don’t have a Wonder Unders Pattern? Buy it here! Thank you! It is really not easy to find good slips amd I have been meaning to ger a few of your patterns for a long time! Thanks for being such helpful and positive presence! You’re most welcome! Glad this was helpful! 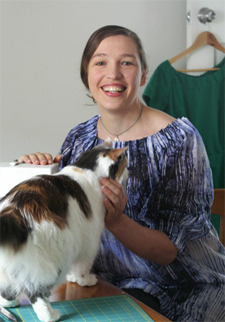 And thank YOU for supporting Scroop Patterns! We call this a half-slip here in the United States. It’s nice to know some ladies still wear proper undergarments, I get so tired of seeing bras sticking out from under scanty tops. I just want to tell them either wear appropriate undergarments or don’t wear those kind of tops. 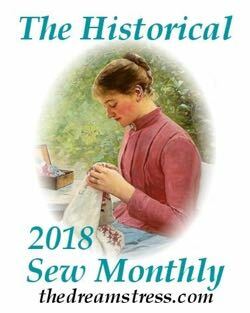 I guess that’s just a sign of old age, I was brought up in a time when you wore bras that worked with your garment so as not to show what shouldn’t be shown. You also wore a slip under thin dresses and skirts.